Myanmar Colour Festival is coming to Taunggyi for the first time! MI Radio is giving away FREE TICKETS for our listeners! MI Radio organised a fun fair - Meet the DJs - event at Diamond plaza in Mandalay on Sunday, June 24th. The purpose of the event was to bring MI Radio fans to feel more connected and know more about MI Radio DJs and shows. 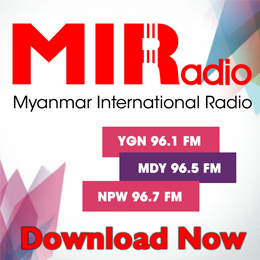 MI Radio Test Broadcasting now is launching! !